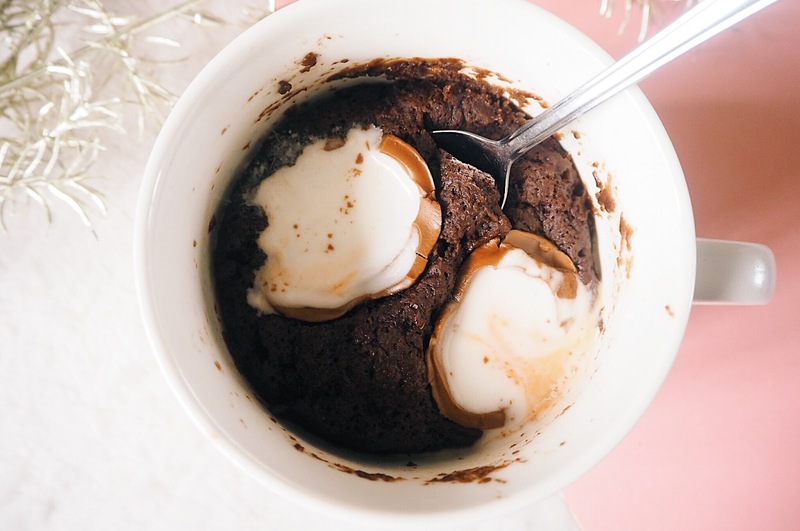 If you've followed my blog for a while you'll know I like to pick up a wooden spoon every now and then and create sweet treats, last year's Creme Egg cupcakes are still one of my most viewed posts to date and I've even done a salted caramel mug cake before! 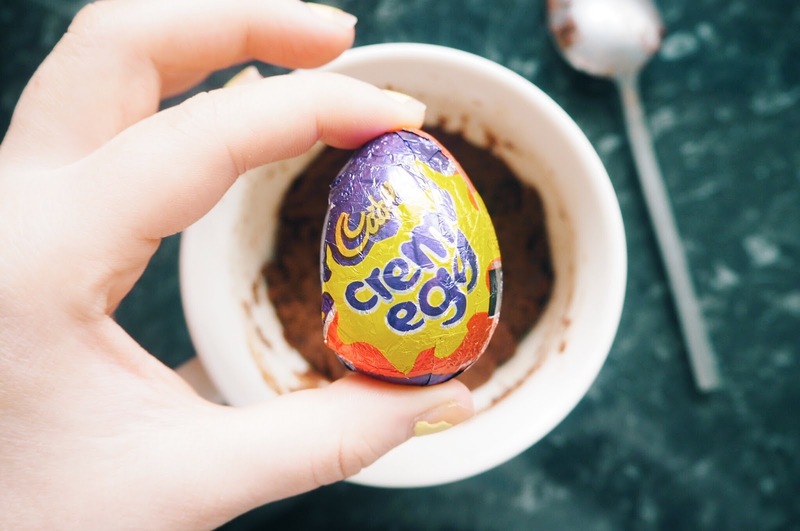 So of course I had to create another treat featuring a Creme Egg, because they're just the best, aren't they? The best part about this treat is it's cheap, quick, easy & super delicious! It's also great to cosy up with on these rainy days we've been having recently. 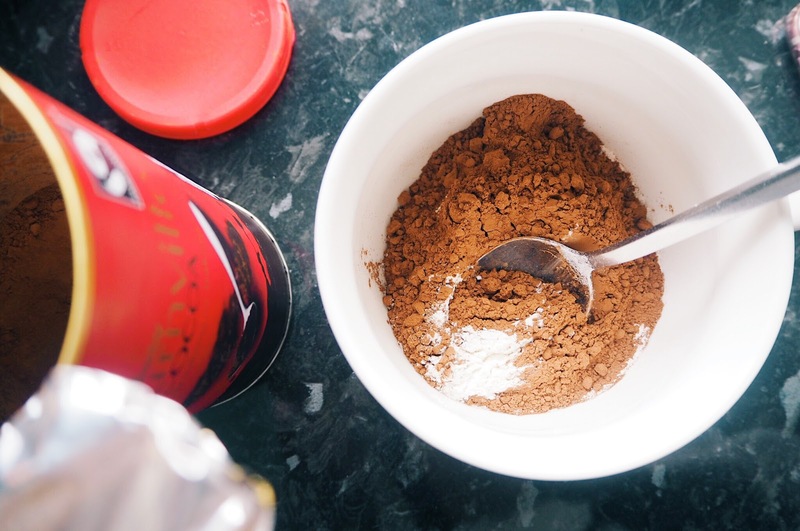 I use the mug cake recipe from Wish Wish Wish's blog but usually use vegetable oil instead of butter as it's easier and I use 4 TBSP of water instead of 3, but just use what works best for you, that's the best part about this recipe you can't really go wrong. 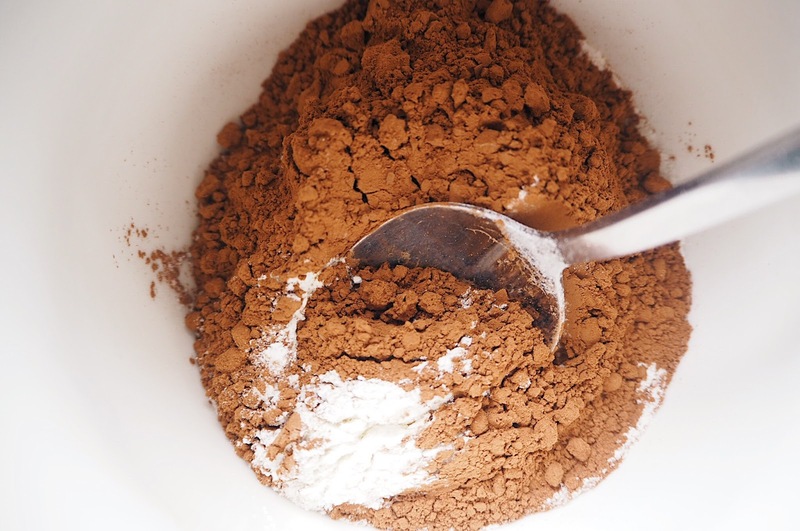 First of all, mix all the dry ingredients together. Then add in the butter or vegetable oil and water and mix together until combined. Now for the Creme Egg! 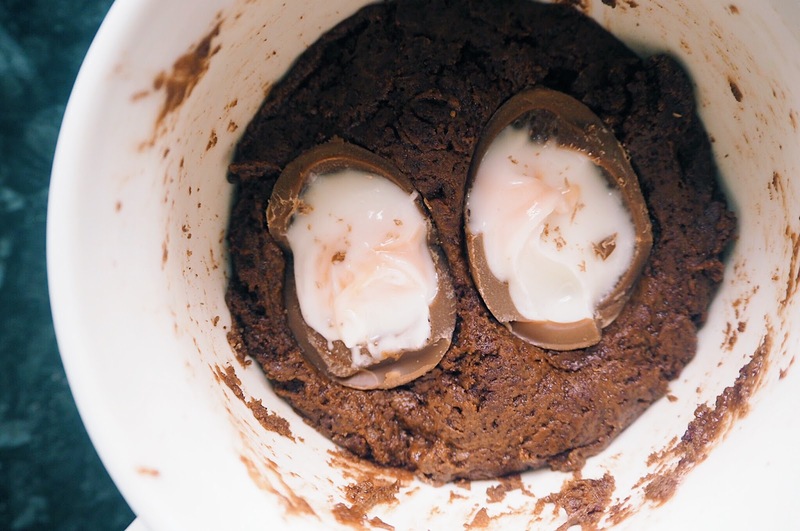 Flatten down your mixture and cut 1 Creme Egg in half. My mug was big enough to put both halves on the top, but if you're isn't big enough then I think one half in the mixture and one on the top would work great too. Once you've done that stick your mug in the microwave for 1 minute. I usually find 1 minute works well for me and leaves it still slightly gooey inside which is what you want. There's no egg so no need to worry! If you want it to be more of a cake texture though put it in for another 30 seconds or so, but be careful as too much can dry it up! Then, voila! It's ready to eat. 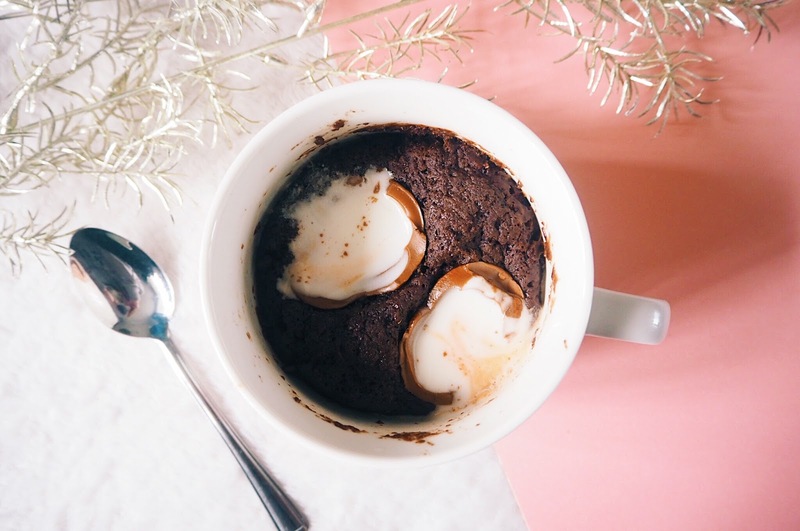 I love how the Creme Egg cream melts across the mug cake! It's so nice and the perfect indulgent treat this easter. 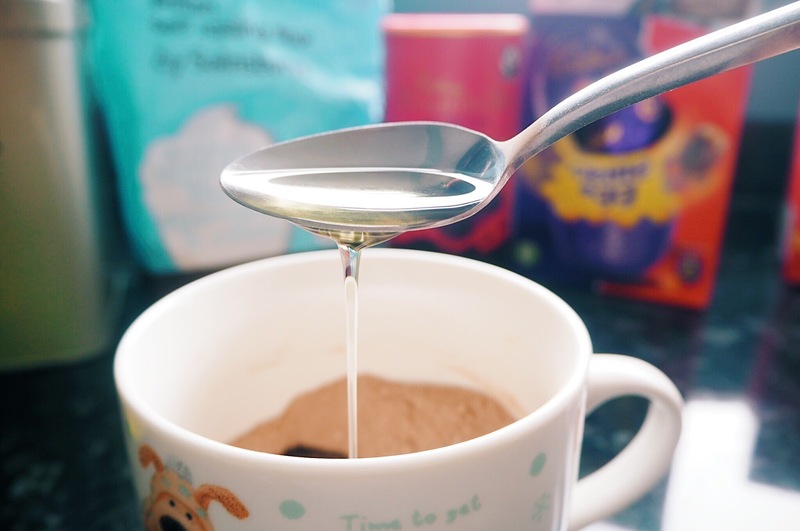 Will you be trying this quick & easy treat this Easter? Let me know if you do and if you love it as much as I do! 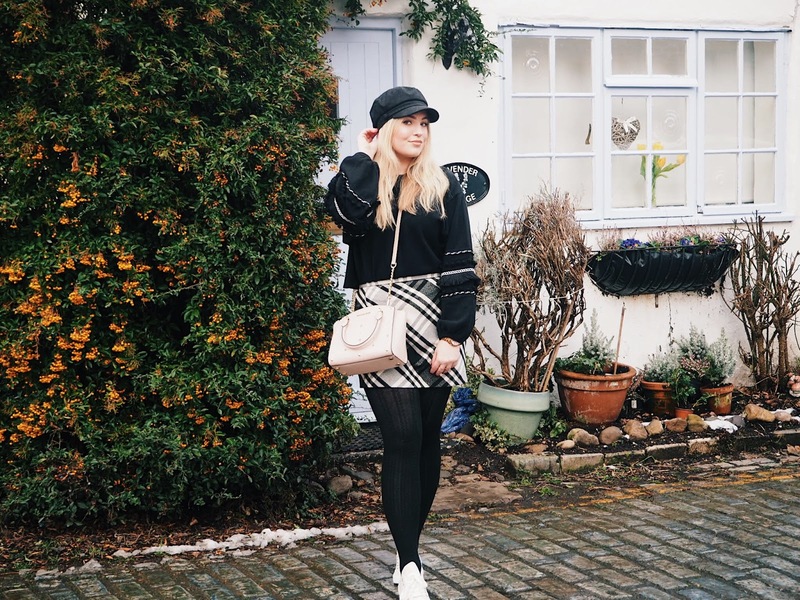 Great post, lovely photos and love the new theme! This looks delicious! 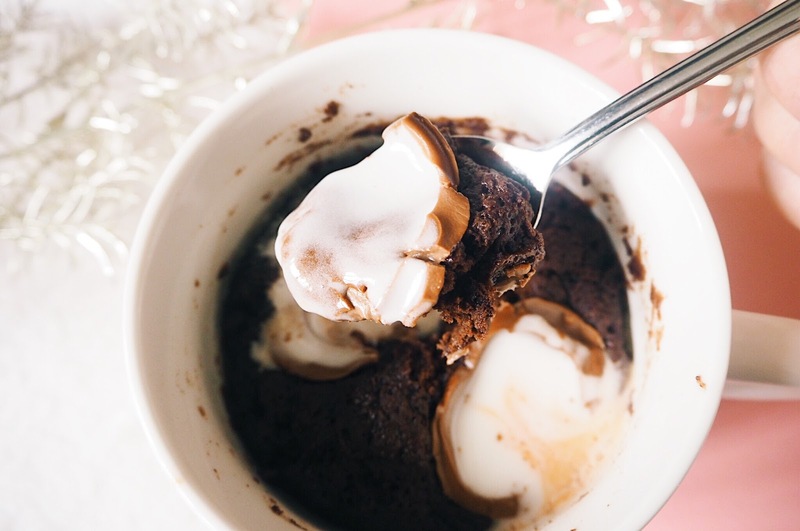 I have tried to attempt a mug cake before, and it didn't go down too well haha.